Standard ASTM B164, ASTM B160, etc. Nickel wire is made by advanced vacuum melting process and by forging, rolling, annealing and drawing, it has good mechanical strength, corrosion-resistant and heat-resistance strength. Nickel wire is used to make electrical vacuum device, electronic instrument components and anti-corrosion materials for chemical industry. Excellent resistance to acid, alkaline and neutral salt solutions. Package: Wooden case or according to your requirements. Special specifications can be produced in accordance with the customer's requirements. Nickel wire is used in the presence of neutral, acidic and alkaline salts. The face-centered cubic lattice structure of nickel provides enhanced formability in common with the high strength metals. Nickel wire performs excellently in the presence of sulphuric acid and phosphoric acid, organic acid, chlorides and phenol. 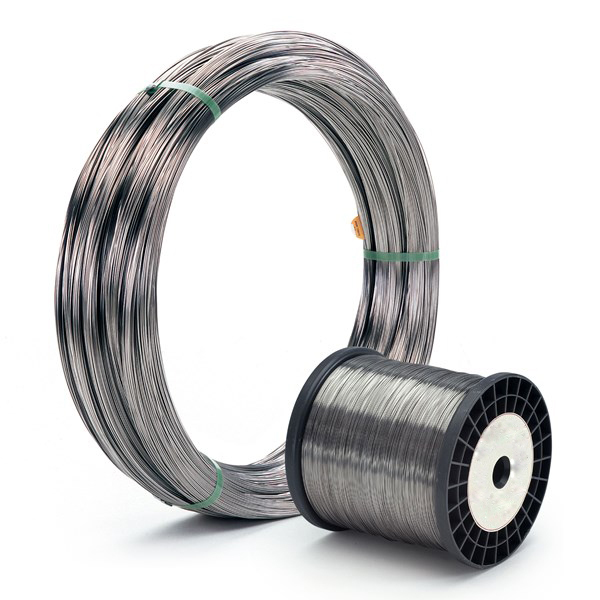 Nickel wire also offers resistance to highly reactive and severe salts such as phosphorous trichloride, phosphorous oxychloride, nitrosyl chloride, benzyl chloride and benzoyl chloride.